When Twitter first started over a decade ago, the team decided to limit Tweets to 140 characters, since that mirrored the limit of most text messaging systems at the time. 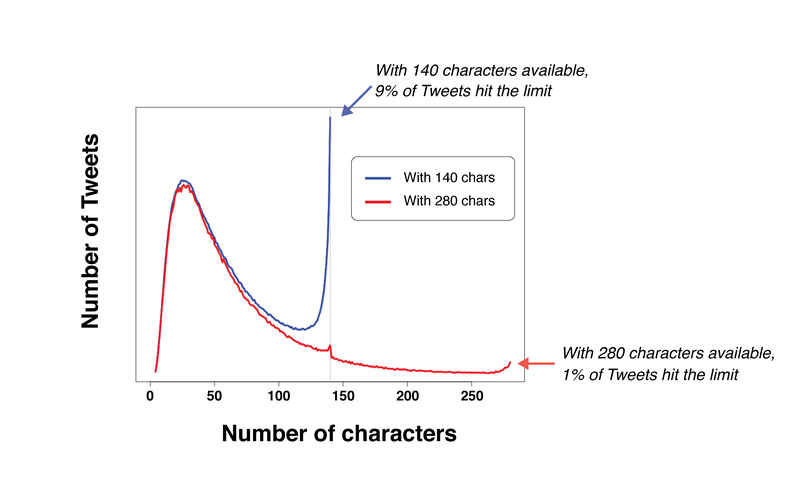 The character limit became a defining feature of Twitter, but it also held the platform back. After years of trying, Twitter has finally introduced longer Tweets in an attempt to increase its market share. Twitter has often been criticized for their character limit because it was often an entry barrier for people that wanted to get started on Twitter. It also made the platform less useful for retailers who found it difficult to compress marketing messages into 140 characters. Expanding the character limit may make the platform more inviting for new users and advertisers. Predictably, the response among current Twitter users has been mixed. Some users have an emotional attachment to the old character limit and predicted the change would ruin the platform. Others saw the change as the start of a new beginning for Twitter, one with a larger user base that included people using proper spelling and grammar. According to Twitter, the new character limits had little effect on the way people used the platform. 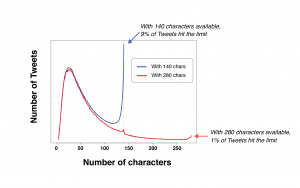 During the trial period, even when people had 280 characters to use, only 5 percent of tweets sent were longer than 140 characters and only 2 percent were more than 190. The change in the character limit shouldn’t significantly affect the timeline reading experience user have while on Twitter. They should still see about the same number of Tweets in their timeline. Twitter reasoned that in the timeline, Tweets with an image or poll usually take up more space than a 190 character Tweet. Business owners and marketers can take advantage of this by keeping their content more consistent across various social platforms. In the past, marketers posting on various social platforms had to dramatically change their content for Twitter. Though the character limit is significantly lower than that of platforms like Facebook and Instagram, most users of all platforms stay under 300 characters for most posts. Twitter’s new character limit has been a long time coming and while it may not be a game changer for social media marketing, it does create new opportunities for using Twitter to engage with customers and target audiences. It will almost certainly help by attracting new users, encouraging better Tweets, and getting people to Tweet more often. 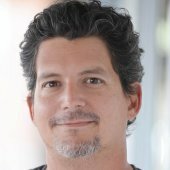 For more recent news about social media marketing, read this article about the latest changes with Facebook.